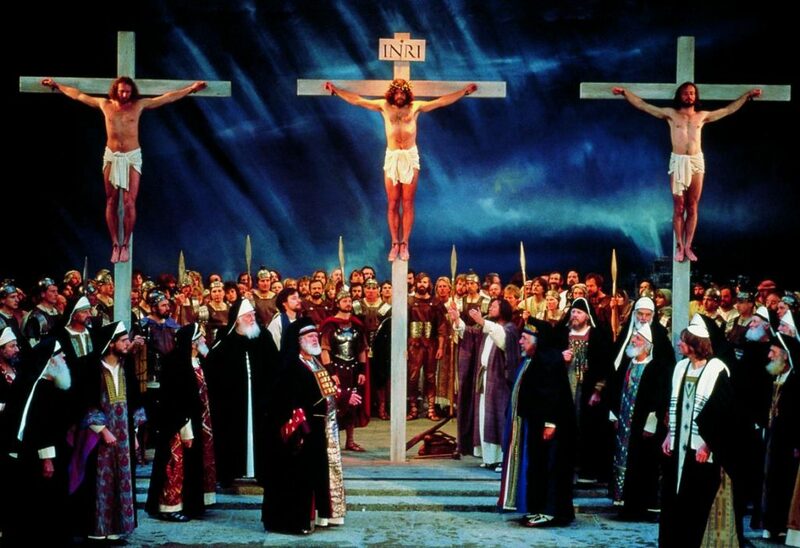 A play of life and death, promised in a moment of mortal threat – so began the history of the Oberammergau Passion Play. In 1633, in the middle of the “Thirty Years War,” after months of suffering and death from the plague, the Oberammergauers swore an oath that they would perform the “Play of the Suffering, Death and Resurrection of Our Lord Jesus Christ” every ten years. At Pentecost 1634, they fulfilled their pledge for the first time on a stage. They erected in the cemetery above the fresh graves of the plague victims. Flash forward 2020, more than 2,000 Oberammergauers, actors, singers, instrumentalists and stage technicians bring those events Christianity regards as its central source of life and hope in approximately five hours of performance. The 42nd Oberammergau Passion Play will begin in May 2020. In spring 2019, the names of the actors will be announced. In addition to the major characters of Jesus, Mary, Peter, Judas, Pontius Pilate and Caiaphas, there are 120 larger and smaller speaking parts. 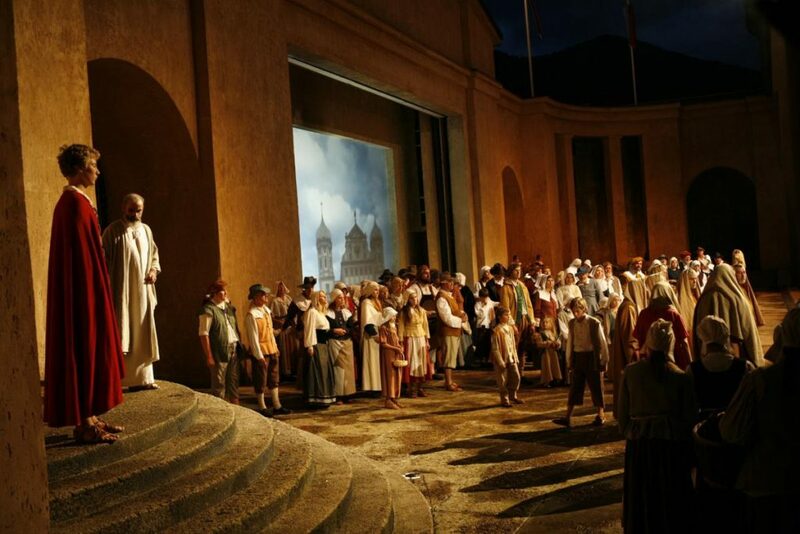 Altogether, more than 2.000 Oberammergau villagers will participate in the 2020 Passion Play. Christian Stückl has been elected by the City Council of Oberammergau to direct the 2020 Passion Play. Stefan Hageneier will be responsible for the costumes- and the stage design. Markus Zwink will serve as the musical director of the Passion Play. The young Oberammergau director Abdullah Kenan Karaca has been elected as deputy director. Start planning your Oberammergau tours and Pilgrimages now. Terra Lu Travel is a specialized business-to-business supplier for faith travel and pilgrimages in Germany and central Europe. Terra Lu Travel is based in Germany with best local contacts on site and will put together “hand crafted”, customized tours just for your groups. They will get you the tickets for all Passion Plays 2018 in Sömmersdorf, 2019 in Erl, and 2020 Oberammergau. And also make all your travel arrangements for great tours. Each and every of Terra Lu’s tours are “hand crafted” as it is designed to the specific wishes of clients. But to get started, here are some sample ideas. Please contact Christian Utpatel, founder and owner of Terra Lu Travel, for your exclusive tour. Netherlands, Belgium, France, Switzerland, and Germany will be visited during this 11 day sample trip. Your group will see windmills and museums around Amsterdam before going to Bruges, Belgium’s most perfectly preserved medieval town. A glass of champagne welcomes your travelers at Montparnasse tower in Paris. Vineyards in Burgundy will be visited before heading to Lucerne in Switzerland. The fairy tale castle of Neuschwanstein lays on the way to Oberammergau before this tour ends in Munich. Martin Luther and the Reformation are the main topic of this tour program. Starting from Berlin, the main sites of Luther’s life and work will be visited in Wittenberg, Eisleben, Erfurt, and Wartburg castle. Germany currently celebrates the 500th jubilee of the Reformation. Some of the main reformatory books have been published 500 years ago in 1520. Other jubilees will follow over the next years. After visiting the Luther sites, this tour continues to Prague (with the memorial of Czech reformer Jan Hus), to Bavaria, and Oberammergau. This 12 day sample tour starts and ends in Frankfurt. Highlights include the Romantic Road, picturesque Herrenchiemsee Palace, and the music city of Salzburg. From Austria your group continues – with an en route stop at the original Budweiser brewery – to the “golden city” of Prague. An Elbe valley river cruise takes you to Dresden with a side visit at Moritzburg. Wartburg castle lays on the way back to Frankfurt.